Priority ReLeaf is a special program serving financially underserved neighborhoods as well as communities struggling to replant trees after major disasters. 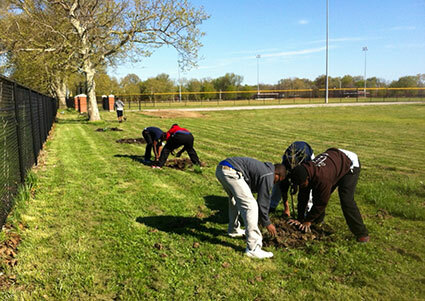 After the 2011 tornado, Forest ReLeaf provided 8,000 free trees to Joplin to aid in their reforestation efforts. Since 2011, Forest ReLeaf has also supplied more than 1,300 trees to the cities of Weldon Spring, St. Ann, Ferguson, and Bridgeton as a result of tornados. Learn more about Joplin Reforestation.